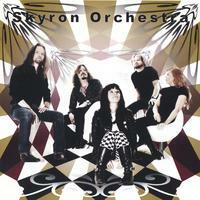 SKYRON ORCHESTRA is a new fresh band from Gothenburg coming with their debut album. 5 musicians being born far too late, paying their ode to the old psychedelic / progressive scene with this 10 tracker that features both short potentional hits, as well as longer instrumental songs. Features lots of retro organ sounds as well as guitars / bass and drums. Also, vocalist sounds at times a bit like Mariska Veres out of SHOCKING BLUE. Guitarrist we used to find in the 90's band called LOTUS handling the 4 string bass guitar, but this time it's guitar. All in all, a very good release that brings the best out of the 60's & 70's psych / progressive scene, adding a heavy touch to it, without being too much hardrock. Fabulous band ! !